Currently the number of South Africans who belong to a medical scheme stands at just over 8 million. According to the publication of the Council for Medical Schemes, CMS News (Issue 2 of 2009-2010), the number of medical aid beneficiaries increased between January and December 2008 by 3,5%. This growth is relatively slow, and in fact the General Household Survey conducted in 2007 estimated that the percentage of South Africans who belong to medical schemes decreased from 15% of the overall population in 2002 to just 14% in 2007. There is little doubt among industry analysts and health care brokers that these figures are largely owing to affordability. Most people would like to have some type of health cover, but cannot afford to. Figures indicate that when monthly membership contributions reach more than 15% of overall monthly income, people can no longer afford medical cover. All this points to the fact that there is a great need for affordable medical cover options in South Africa. Hospital plans are far more affordable than comprehensive medical cover. They provide a fixed amount of cover for certain procedures. Medical benefit schemes are also much cheaper than medical aid schemes, but the cover they offer is limited. 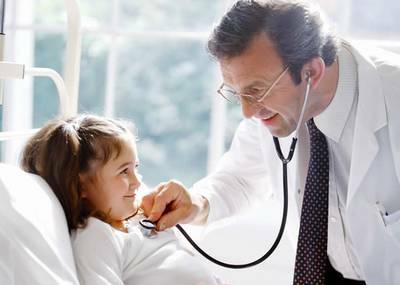 There are many different medical plans which offer basic cover, i.e., the so-called PMBs or prescribed minimum benefits. These benefits are stipulated in the Medical Schemes Act, 1998, and include treatment for all serious and life-threatening conditions as well as hospitalisation. Conditions not covered by the PMBs and so-called day-to-day consultations (i.e., out-of-hospital consultations) are covered by a savings account portion of the membership premium, which essentially operates like a medical savings account: as long as you have funds in the savings account you can elect to spend it on medical practitioners such as dentists or optometrists. What services you are not able to fund from the savings, you have to pay for yourself. Another way medical schemes have devised of making health cover more affordable is to enter into agreements with so-called “designated service providers”. These are doctors, specialists and other health care providers who charge rates agreed to with the medical aid. The benefit to the medical aid member is that the fees are paid in full by the medical aid, and the benefit to the service provider is that the payment is made automatically. Often there is also a so-called capitation agreement: the health care provider is paid a fee per member per month. Discovery Health health medical aid has pioneered this system in South Africa, and after some initial resistance from the medical profession, today 80% of all medical practitioners in the country are designated service providers of Discovery, and the practice has been emulated by other medical schemes such as Momentum medical aid. There has been a tremendous growth in low-income medical cover options that are based on either capitation or network arrangements over the past five years, by more than 13%, which is far above the growth in other types of medical cover. By minimising the cost of day-to-day benefits, through the introduction of personal medical savings accounts and designated service providers, these medical schemes have made medical cover affordable to a larger segment of the South African population.